The combined strength of the companies will enable clients to supply innovative and premium quality gene therapies to patients. Reports confirm that apceth Biopharma GmbH, a leading clinical stage biopharmaceutical firm and a contract development & manufacturing company (CDMO) for complex cell and gene therapy products, has announced that Hitachi Chemical Co., Ltd. would be entering into an agreement for acquiring all the shares of apceth Biopharma. Apparently, the acquisition is predicted to be closed by April 2019. According to a press release from Hitachi Chemical Co Ltd, with this acquisition the company is looking to expand its business presence in Europe, which is regenerative medicine’s second largest market in the world after United States. 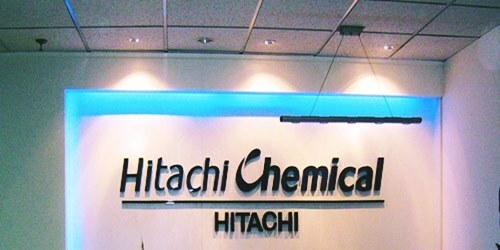 The anticipated impact of this acquisition on the consolidated performance forecast of Hitachi Chemical for the fiscal year ending March 2019 would be minor. Chief Executive and Medical Director at apceth Biopharma, Christine Guenther, was quoted saying that the combined strength of the companies would enable them to produce complex cell and gene therapies for their clients in Europe, Asia, and North America. This would further allow their clients to supply highly required innovative and premium quality cell and gene therapies to patients globally, Dr. Guenther added. Manfred Ruediger, PhD, apceth’s Chairman of the board, mentioned that the company had been developed by a great team as well as its shareholders’ strong support into the leading independent cell therapy producer in Europe. The joint efforts have resulted in the acquisition of apceth Biopharma with the company being chosen as the hub of Hitachi Chemical for cell therapy in Europe. General Manager for Hitachi Chemical Regenerative Medicine Business Sector and President and CEO of Hitachi Chemical Advanced Therapeutics Solutions, Robert A. Preti, PhD, said that this addition to Hitachi Chemical would reinforce the company’s presence in the world’s second-largest cell and gene therapy market. Dr. Preti further said that this acquisition would also allow Hitachi Chemical to offer a truly coordinated global operation, which would provide its customers with ready access and maximize the value the company brings to the industry.